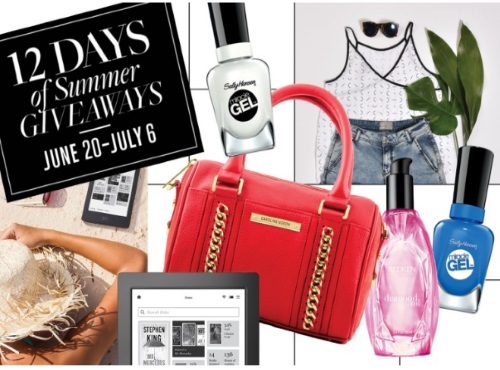 Fashion Magazine has started a 12 Days of Summer Giveaway contest! Each day there will be a new prize up for grabs, that means 12 days to try your luck at entering this contest! Check back everyday at 12:01am to get the first crack at entering the prizes. Contest closes July 6, 2016. To enter (I found this a bit complicated so if you're having trouble too), click on the "view today's contest" link underneath the image, then on the "12 Days of Summer Giveaways banner" to be taken to the day's contest.